Zac Efron has certainly come a long way since his Highschool Musical days. Today, the actor is not only a Hollywood star but also a style icon. Whether he’s been snapped on the red carpet or spotted walking down the street, this stylish gent always appears fashionable. But, it’s not just the star’s clothing choices that are top-notch. Zac Efron’s hair also always looks awesome and on-trend. As such, he’s an excellent source of inspiration that can inspire your next haircut. Just check out his broad range of hairstyles and find the one that best suits your style and face shape. Over the years, Zac Efron has updated his hairstyle repeatedly so that his appearance is always on-trend and exciting. Thanks to these updates, the star now provides a wealth of inspiration to other gents looking for a new ‘do. From short, textured crops to voluminous, curly quiffs, Efron’s range of styles is diverse. The one thing they all have in common though is that they’re all seriously sleek. So, if you want your next haircut to be fashionable and flattering, look no further than this dapper gent for inspiration. After all, the star certainly knows how to rock a killer crop. When it comes to more formal events, Zac knows that his hair needs to appear sharp and stylish. Therefore, it’s no surprise that he often opts for a slicked back hairstyle. While the star has tried a few smooth, slicked back looks, his hair generally appears more flattering with texture. As such, in recent years, the star has opted for a more modern alternative with volume and an imperfect finish. Just like another male style icon, David Beckham, Zac Efron has also rocked a faux hawk hairstyle. The cut, which resembles a traditional Mohawk without the shaved sides, is unique and eye-catching without being overly daring. As such, it’s a great option for the star and anyone else who wants fashion-forward hair that’s appropriate for every day. When Zac Efron wants to add more maturity to his appearance, he often introduces facial hair into his look. Of course, we’re not talking about a big, bushy beard. No, Efron’s style is much too sleek for that. Instead, the star adds just a small amount of neat stubble to compliment his appearance and hairstyle. A style, such as a modern pompadour, is the perfect accompaniment to his stubble and works to achieve a ruggedly handsome aesthetic. The crew cut may be simplistic and minimalist, but Zac Efron makes it a seriously stylish look. Thanks to the ultra-short cut’s clean shape and military history, the style provides Efron with a smart and masculine aesthetic. The look works particularly well due to the star’s thick head of hair and natural texture. Pairing the cut with light facial hair also helps Efron create a more relaxed and rugged appearance. Zac Efron has long been a fan of short hair. The star, who prefers a tidy crop over lengthy locks, typically keeps his hair cut short on the sides and slightly longer on top. 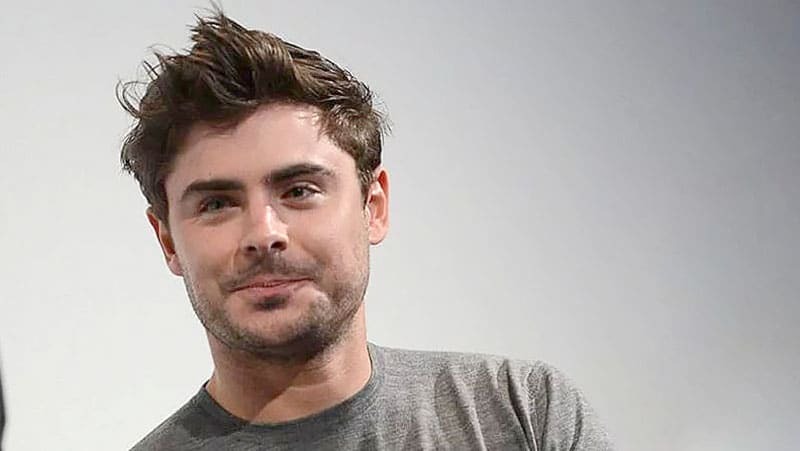 While this may sound plain and conventional, Efron manages to keep his short haircut contemporary and current for a more fashionable appearance. The actor does so by ensuring that his hair maintains plenty of texture. This texture adds a youthful and modern element to his short hair for an on-trend finish. Spiky hair isn’t always easy to pull off, but Zac Efron knows how to make the style work. Instead of moulding his hair into the sharp, straight spikes that were popular in the early 2000s, the star chooses to rock a softer, less defined style. With messy spikes that feature a light wave, Efron achieves an appearance that is fashionable and fun. If you’re lucky enough to have strong facial features, such as Efron’s defined jawline, you should consider showing them off with a minimal haircut. By opting for a simple cut, you’ll be able to draw all the attention to your face. A buzz cut is a perfect option for doing so and can appear sharp and smart. To nail Efron’s exact buzz cut, just ask your barber to keep your hair length approximately 1/2 inch on top. The quiff has seen numerous adaptations over the years, but Zac Efron’s curly version must be one of the best. Full of on-trend volume and texture, this stylish look is a great statement hairstyle. Although the look is quite bold, it’s also smart and versatile. By keeping the variation between the sides, top and fringe minimal, Zac manages to achieve an appearance that’s ideal for almost any occasion. Are you looking for the perfect weekend hairstyle? Zac Efron’s messy hairstyle is an excellent choice. The dishevelled look is youthfully stylish in a modern way and ideal for casual occasions. Although you may not be able to just roll out of bed for this messy look, it’s still easy to achieve. After washing your hair, just blow-dry your locks to add extra volume before using your hands to work pomade into your strands and style them up and forward. While Zac may prefer shorter haircuts these days, how could anyone forget his classic long hair look? Although the style didn’t even reach his shoulders, it did feature a longer length than the star typically rocks. A sweeping side-fringe completed the look and gave it a soft appearance. While this style may be a little dated today, you can easily modernise it by adding a messy texture or pairing the bangs with an on-trend undercut. 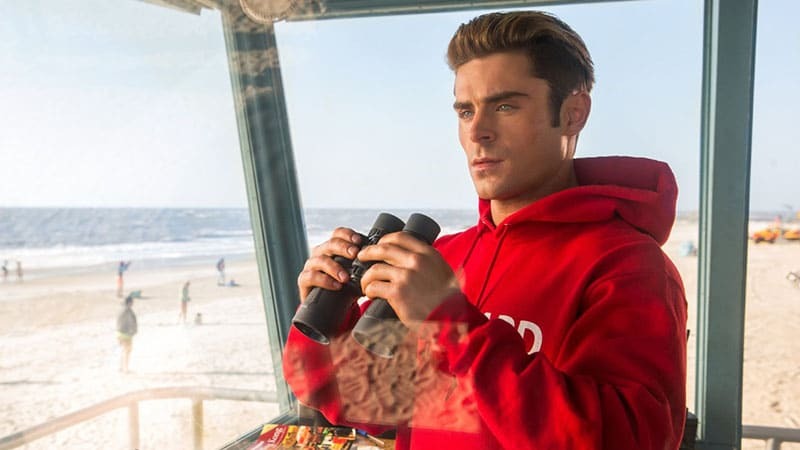 One of Zac Efron’s most recent acting roles saw him head to the beach to play Matt Brody in the movie reboot of Baywatch. As well as buffing up to play the character, Efron also had a haircut. The killer cut is undoubtedly one of the actor’s best looks and features a fashionable disconnected undercut. On top, the star had his thick, medium-length locks combed back for a finish that was sleek and modern. Zac Efron loves a textured hairstyle. Whether it be a messy faux hawk or spiky style, the star knows that his hair looks great when it’s defined and dishevelled. As such, Efron will often use products to help his hair achieve a more texturized and youthful appearance. You can do the same to your strands with the aid of a sea salt spray and pomade. Just don’t use too much product or you may weigh down your locks. Zac’s many looks rely on his thick hair, so it’s important to keep yours voluminous or boost it up artificially. Ask your barber for a cut that is short and smart with a youthful or modern twist. Choose the Zac Efron hairstyle that best suits your face and personal style. If your hair isn’t naturally thick like Zac Efron’s, blow-dry it after washing while directing the roots upwards to add extra volume. Remember to add plenty of texture with a sea salt spray, pomade or other products. Style your hair using your hands rather than a comb for a relaxed finish.